I feel as though the most effective way to begin this review is to briefly talk about my “presence” on the site. Dedicated readers no doubt have come to identify me with several key games/developers/franchises. Fire Emblem is one of the more obvious ones. And another is…Cave Story. My love for that game, as well as my respect for Pixel as a developer, is exceptionally well-documented. That said, I’ve taken the time to play some of his older titles, as most were freeware on PC at a certain point. I made a point to avoid one game, however—a game that was announced for release on the eShop quite a ways back. 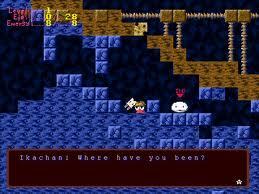 Ikachan is set in the same universe as Cave Story. You can expect a ton of similarities in terms of gameplay, story tropes, appearance and music. If you’re a fan of that game, and you’ve never played Ikachan, the trailers and brief bits of news may have already drawn you in at the low-ball asking price of $4.99. I’ll admit: I’ve been anticipating this game for a long while, knowing next-to-nothing about it (on purpose). And I ran to the eShop and bought it the first chance I got. So… what can someone expect from Ikachan? Music and graphics are a given. 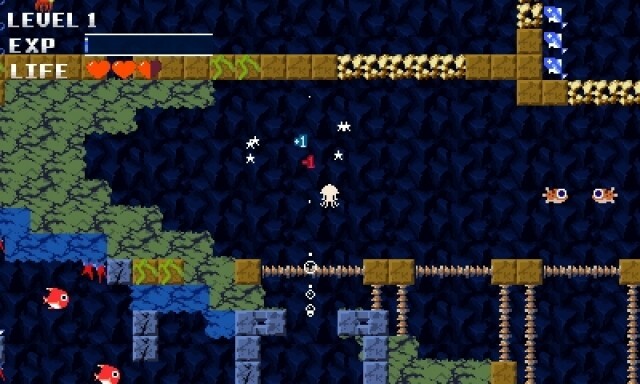 Just a look at these screen shots and you’ll know it’s a Pixel game, much less set from the same universe as Cave Story. 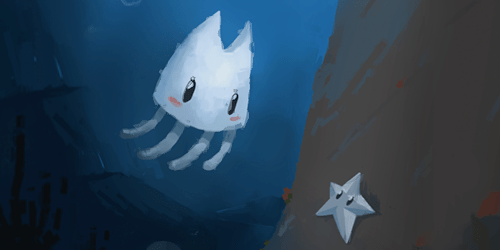 Even my girlfriend, who’s not much of a gamer (but has become familiar with games I’ve spent hours playing) described what she saw as, “It’s Cave Story underwater!” And that’s… exactly what it is. First, picture Cave Story. Next, take away the guns and make the main character into a squid. 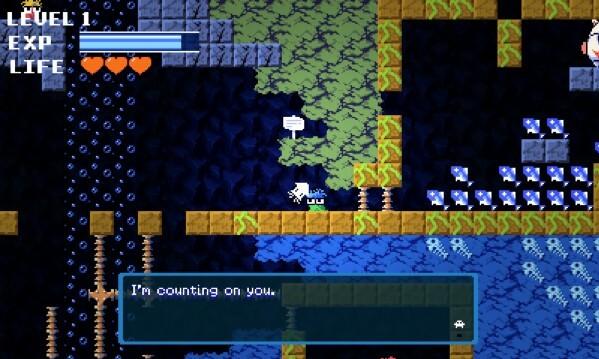 Put him underwater, mix Cave Story’s middle-grade platforming with what basically amounts to a really long underwater level from an old Mario game, and… that’s Ikachan, in a nutshell. The ambiance is part of what made the admittedly simple gameplay enjoyable. I usually try to go into great detail when explaining the ins and outs of a game, what makes it tick…but with Ikachan, I find it incredibly difficult to do so. The player controls Ikachan by swimming with the A button, much like he or she would with Mario. You spend the first few minutes of the game avoiding spikes and enemies while exploring your new surroundings, then you progressively find power-ups that further expand the world and your abilities…but honestly not by much. Story is also nothing philosophical. There’s Iron Head (yes, that fish from the “Living Waterway” of Cave Story), food shortages, earthquakes (which serve as a means to access new areas most of the time), and the main character has amnesia. The story takes a turn for the weird after one of three problems has been dealt with…and then the game is over. Rather than spend time explaining the nuances of the game (which would just lead to spoilers, I imagine), I’ll say this: I played through Ikachan in less than three hours from start to finish. There’s no bonus content, no New Game+, no “Hell,” no secret ending that I can see. 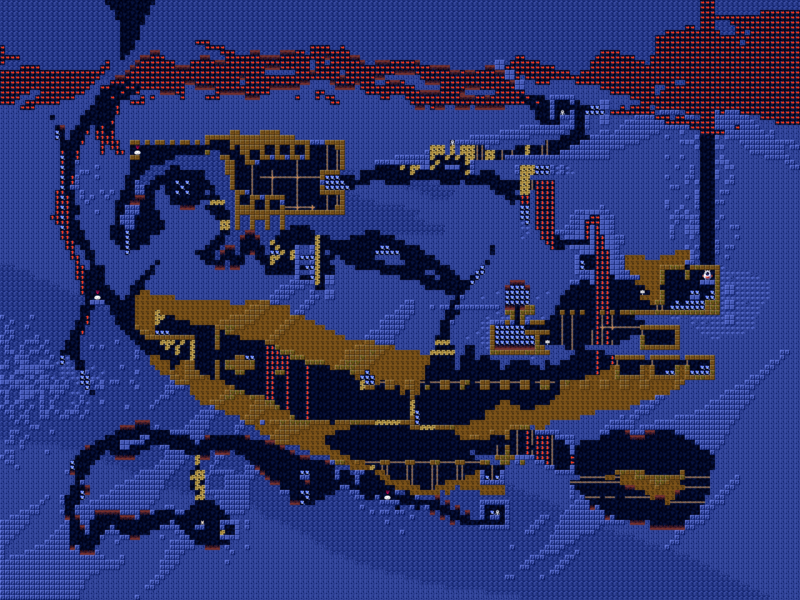 This game is exceptionally bare-bones, it’s one you can finish over a lunch break or two. The fact of the matter is: I’m reviewing this game on the evening it came out. Surely that sets some sort of precedence when it comes to describing why Ikachan won’t be for everyone, especially those seeking the depth of a game like Cave Story. Ikachan lasts about as long as a feature film. It’s simple, fun, and enjoyable, but… man is it short. The image you see above is…the entire world map of Ikachan. If your first thought is, “that’s way too small,” you should probably save yourself $5 and go for broke with one of the many other fantastic games on the eShop, including at least one from Nicalis! Heck, maybe you should spend a few extra dollars and just by the eShop version of Cave Story. When push came to shove though, I wasn’t bitter when I saw the credits. It certainly left me questioning “Is that really it?” (The answer, unfortunately, is yes.) But the bite-sized experience Ikachan provides is a fun one, which just may be worth the asking price for folks like me…whose initial response to seeing a Pixel-developed game is to throw money at it. But, that said: this game is available for free. And beyond the graphical differences and some keen attention to 3D effects (just like what you’d see in Cave Story on the eShop, really), there is virtually no difference between “free Ikachan” and “$4.99 Ikachan.” Take everything I’ve said as you will. I thought the game was worth it. 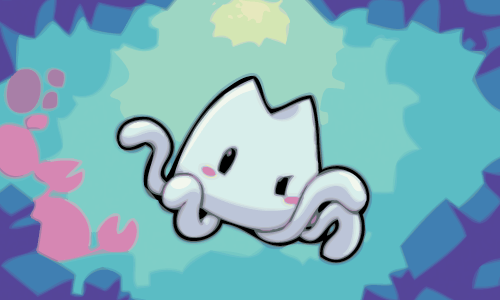 But there will be many, many more who feel unfulfilled by this little squid’s…tiny adventure.